With so many products on the market, the cosmetic industry can be a very confusing place. That's why here at L'Elu we've developed natural, luxurious skincare, and given you control to decide what goes in. We only use the highest quality organic, virgin, cold pressed and sustainably sourced ingredients for our products. I spent years and lots of money on trying products to help out with my hormonal break outs I used to get around my jaw and neck area with not a lot of success, so as you can imagine I was sceptical as to whether an oil would help fix my skin. However I thought it would be worth a try so I started using L'Elu and made sure I was putting it on every night without fail and within three weeks the results were amazing , my once red, sore looking bumps were starting to disappear and what I did have left definitely did not look as angry and irritated. I have been using the product now for roughly six months and I couldn't be happier, my skin hasn't looked this clear and fresh in such a long time. What I also love about this oil is unlike other oils it doesn't feel heavy an greasy on your face it's light and refreshing your skin just feels soft without even touching it. I would highly recommend this product to anyone. I'm a big fan of this product. As a long term sufferer of oily, sensitive, and blemish prone skin I am very picky with the products I use on my face. I was using another well known face oil that I loved but was quickly converted to this one once I started using it. My skin feels rejuvenated and balanced, and no longer oily. As a bonus, it has a beautiful pure and natural scent. TRANSFORMING is the only word I can use to describe this oil. I was the girl that REFUSED to put oil on my face thinking it would make it worse, as I have always suffered with an extremely oily t-zone and constantly reapplying makeup throughout the day around my nose as it would literally slide off my face. 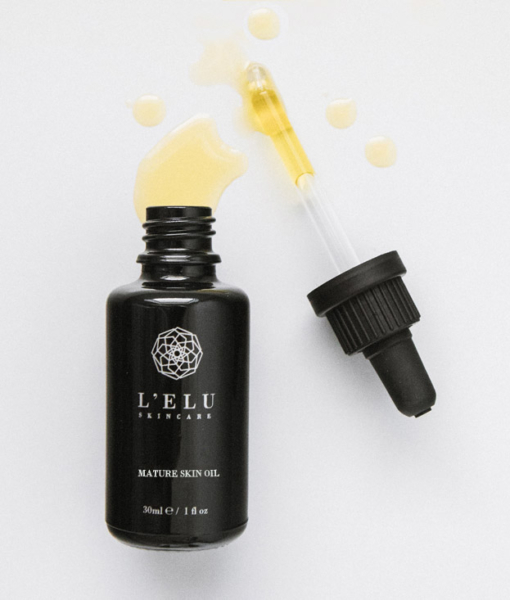 Within a week of using L'Elu oil, I went from an oil slick to matte ALL DAY! It is such a good feeling to not have to worry about what my makeup looks like anymore, it stays put all day without any touch ups and has a glow even though I use matte foundations. My acne scars have reduced drastically and I have even caught my partner using it, he swears by it now! He says his acne goes down overnight when using it. Basically I could not live without my L'Elu oil and knowing it's all natural with no hidden nasties is a win in my books!